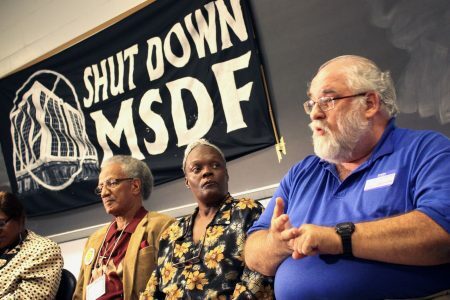 Former inmates of the Milwaukee Secure Detention Facility described deplorable conditions at the temporary holding facility in downtown Milwaukee during a recent event hosted by Ex-Prisoners Organizing (EXPO). But stories of former inmates paint a much grimmer picture. According to six individuals who spent time there, the facility lacks any natural sunlight, proper ventilation or medical care for prisoners. They described a place plagued by overcrowding where inmates are kept in cells as many as 23 hours a day and subjected to excessive heat. 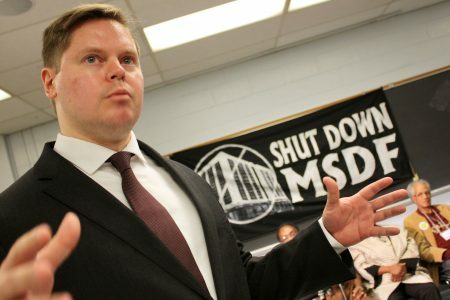 William Harrell, a minister who spent time at MSDF in the early 2000s, attributed some of the 17 deaths that have occurred at the facility — where he estimated temperatures could reach 100 degrees — to heat exhaustion. The event, facilitated by Mass Story Lab — a community storytelling project whose mission is to make stories of people directly impacted by mass incarceration “an instrument of justice” — was part of a campaign, launched in June, to close the state-run, high-rise detention center. The #CLOSEmsdf Campaign is supported by MICAH, UBLAC, NAACP Milwaukee Branch, 9to5 Wisconsin and Voces de la Frontera, among others. Mass Story Lab is involved in the effort to close Rikers Island, the infamous New York City detention center, and has held dialogues in nine cities, nationwide. Charles Hampton, whose son is at MSDF, said people who need medication don’t receive it and inmates receive half portions at meal time. “I came out and nobody knew who I was because I had lost 60 pounds in six weeks,” said Rob Schreiber. Schreiber described an environment where activities meant for personal improvement — even reading books — were frowned upon or not allowed. “It had me real depressed — it had me suicidal,” Shirley Moffett said of MSDF. Moffett shared a cell with three other women during a three-month stay at the detention center. EXPO Assistant State Director Mark Rice, who spent six months at MSDF after being arrested for disorderly conduct while “having a mental health crisis,” said he saw “atrocities” there, including one man who committed suicide and others who mutilated themselves. Rice said this practice, which includes imprisoning people for violation of supervision rules and other small infractions, flies in the face of people’s right to due process. Tom Moore, head of the Close MSDF Research Committee, which is exploring alternatives to detention, said treatment programs don’t have to confine people, but can be based in the community. Other attendees suggested resources used to operate the facility be reinvested to provide better mental health and substance abuse treatment, access to high-quality education and help securing living-wage employment. But conversations at the event did not stop with MSDF. Many attendees took issue with the criminal justice system as a whole, noting a racial component to enforcement, particularly in Wisconsin, where black men are more than 12 times as likely as whites to be incarcerated. 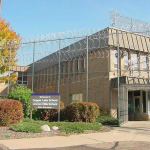 Hampton, who periodically visits Racine Correctional Institution to meet with inmates, said there are “several” fathers and sons incarcerated together at that institution. According to Melissa Ludin, president of EXPO, children of women who have been incarcerated have an 80 percent chance of ending up in jail. The population of incarcerated women has increased 700 percent since 1980, mostly due to non-violent drug offenses, she added. Sharyl McFarland, whose 17-year-old son spent three weeks at MSDF before being sent to the House of Correction, said those affected by incarceration cannot be silent. “We need to start inside ourselves,” said attendee Barbara Richards, adding that it’s important to understand society has failed those who end up incarcerated. I agree MSDF needs to be shut down and that our tax dollars need to stop being wasted on irrelevant revocations! If there is no new crime or no new charges there is no reason for a probation officer to revoke! These people are humans! Not animals! To be 100 degree heat in summer is inhumane! 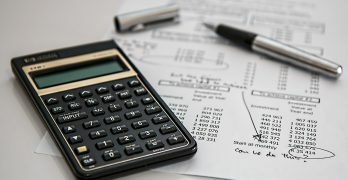 My boyfriend was revoked from an ‘allegation’ made by his jealous ex girlfriend from an event that occurred a year ago of which she had no evidence and is spending a year in MSDF because of that. Really! Our system is messed up! Yes msdf need to be shut down.My husband is currently there,And he was placed on the floor when he first got there. The things he tell me a bout the way they treat the people and what they are doing to them in there you will not even treat your animal like that.Being lock down all day some days,only allowed to be out for a hour twice a day to get water and take a shower.My Husband stated to me he was feeling very dehydrated and I do not know what to do .Some days they looking forward to the hour and they are locked in they room because they short staff. My young, drug addicted son is being sent there in April after being released early from a residential treatment program that he felt he needed. He is guilty of using again while on parole and took the initiative to tell the department he needed more help than outpatient. He hasn’t committed a new crime in 5 yrs yet continues to be caught up in the system, in and out of jail and prison due to violations on parole..all which are dirty UA’S. I am fearful for his mental and physical health and am consumed with fear, dread and sadness on what I can do to advocate for change and help for him and all the other people being subjected to these conditions as well as the revolving door of our so called “justice” system.